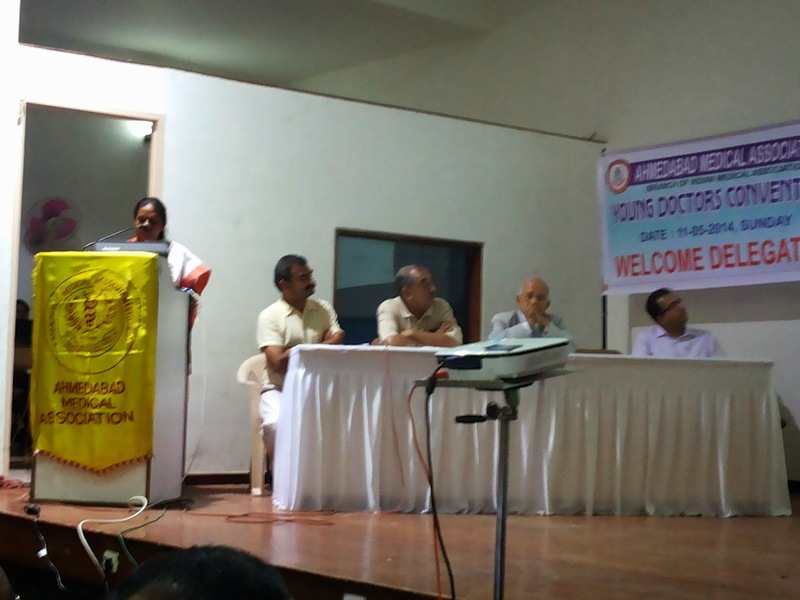 For the first time a convention of young doctor was hosted by Ahmedabad Medical Association today At AMA house, Ashram Road. 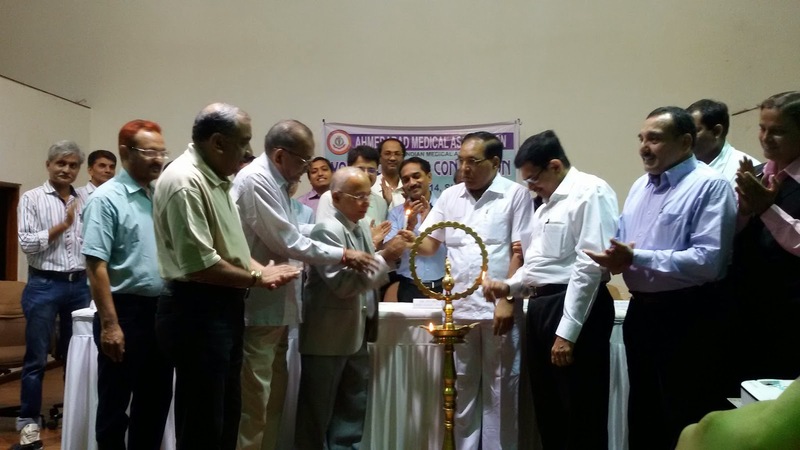 More 300 young doctors from various institutes have attended this convention. 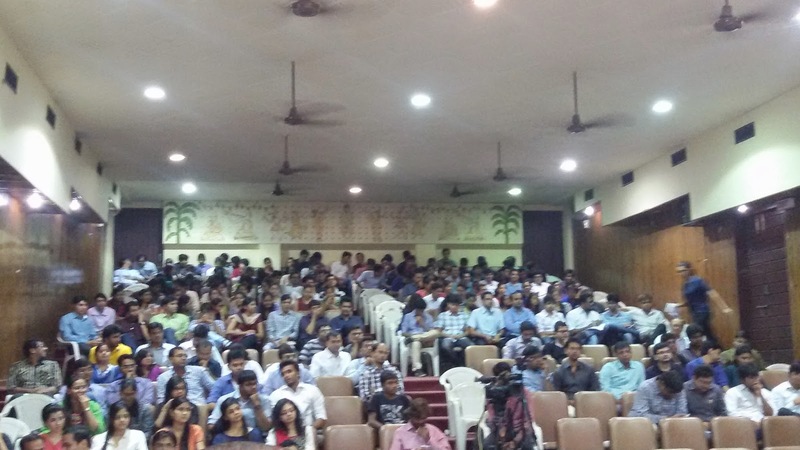 They were mainly residents of various medical colleges of Ahmedabad. 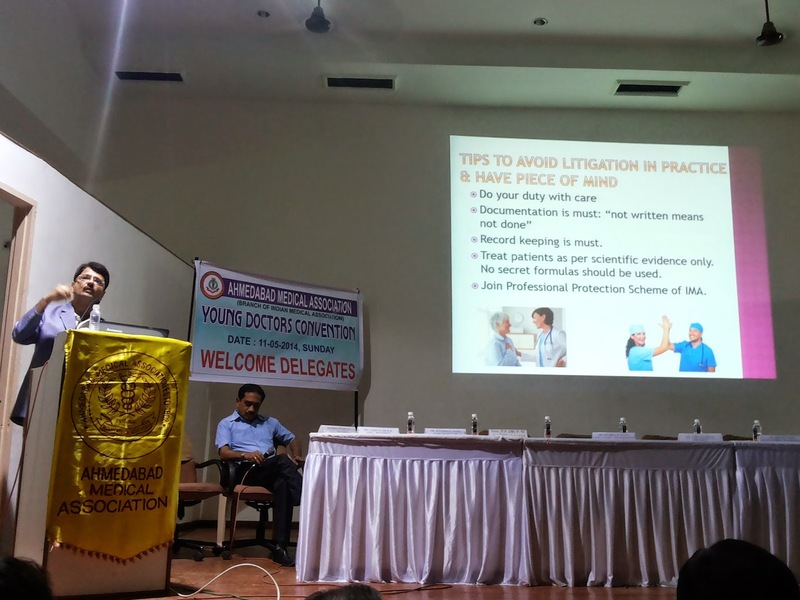 The primary aim of this convention is attract these young doctors towards IMA and make them aware about the various activities of IMA. 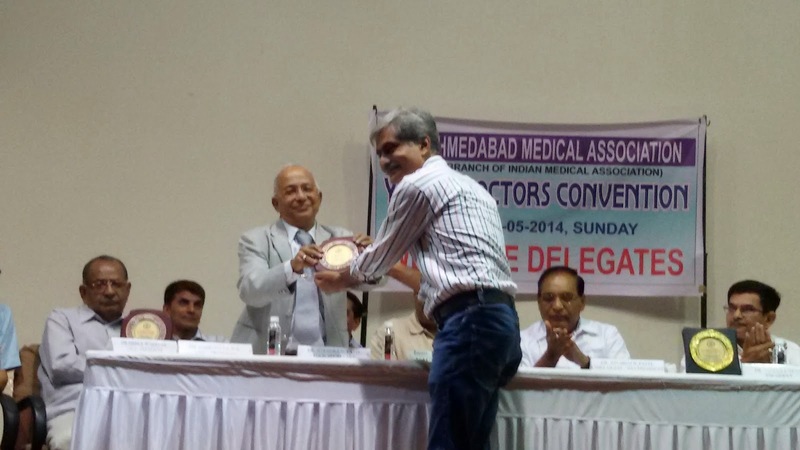 Dr,Jitubhai Patel,National president of IMA was chief guest and Dr.Bipin Patel, President of IMA Gujarat State branch was guest of honor..
For the first time IMA has provided a platform to the young doctors and management of respective institutes to discuss some common day to day problems faced by young doctor. 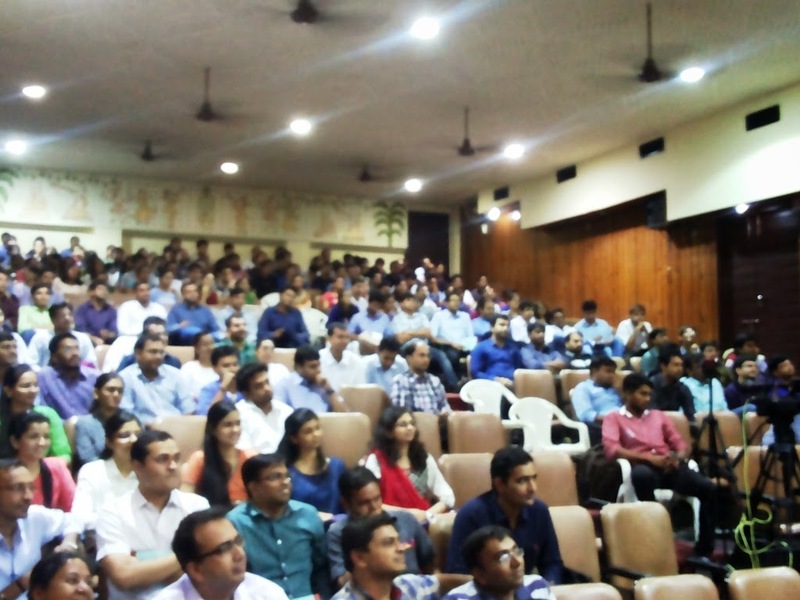 There was healthy hour long discussion,Dr.Pankaj Patel,Dean of V.S. 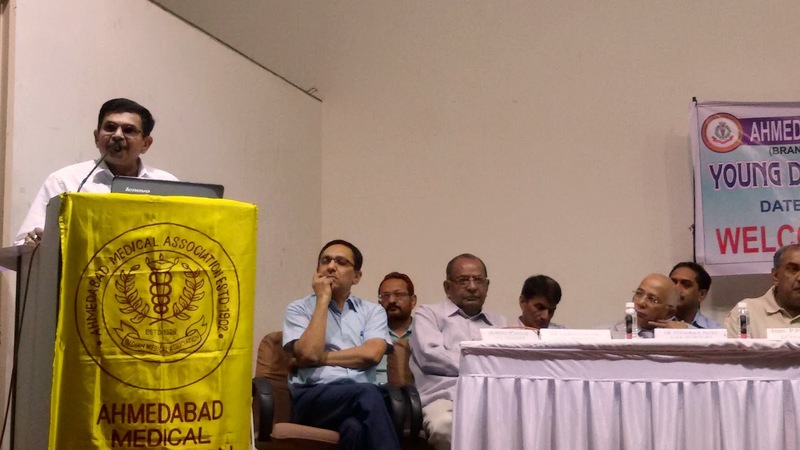 Hospital and Dr.Bharat Shah,Dean of BJ Medical College participated in the discussion which was coordinated by Dr.Mehul Shah-past president of Ahmedabad Medical Association. Student leaders from JDA and other also were part of discussion. 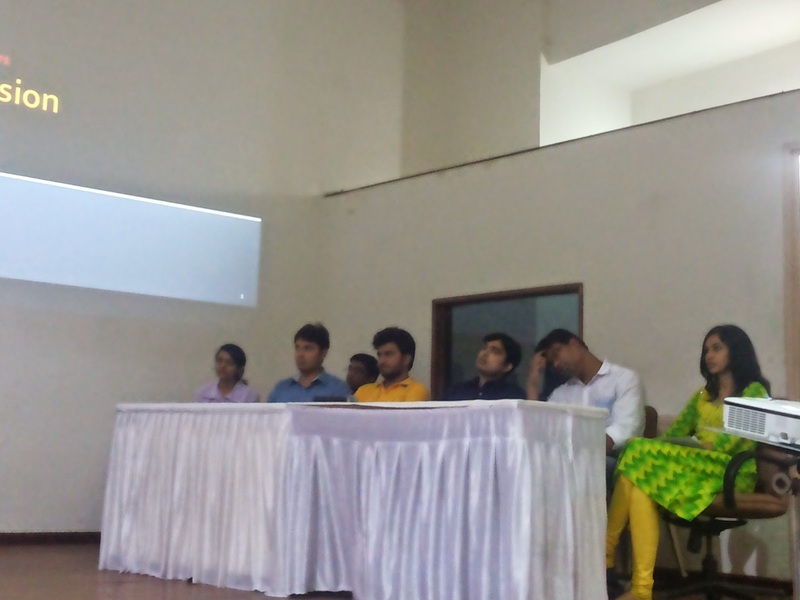 Communication Skills and Anger Management: Dr.Bhavesh Patel, who talked about handling patients, doctor doctor relationship etc. 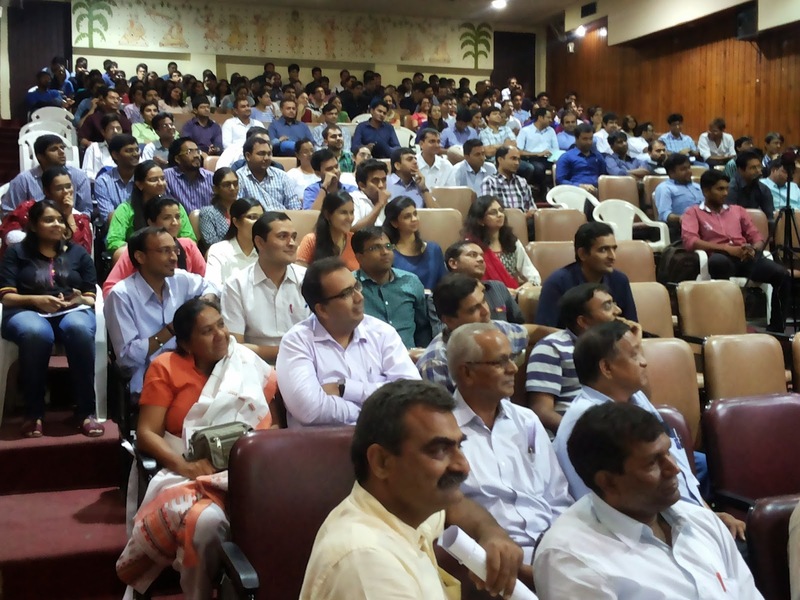 This kind of convention was well appreciated by young doctors and there were of the opinion that such kind of programme should be held on regular basis.